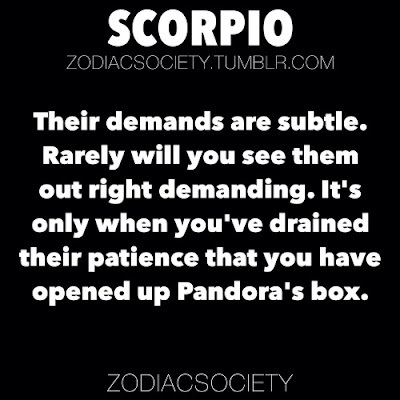 SCORPIO: Their demands are subtle. Rarely will you see them out right demanding. It's only when you've drained their patience that you have opened up Pandora's box.